So previously I had thought that maybe the bikes would be going to DA. I was wrong. Very wrong. As it turns out bikes are now extremely upgraded with the new dex. I got a game in over the weekend and they did really well. Let me quickly go over the reasons. Bikes got about 10% cheaper. Granted this means you have a 1 attack LD 8 sergeant, but still this reduction is welcome. White Scar chapter tactics is great. +1 Jink. Str 5 Hammer of wrath hits. Hit and Run. Khan is good... getting scout is nice. I think the Chapter Master with +1 wound and getting a 2+/3++ is better. Did I mention orbital bombardment is Assault 1. Command squad bikes got waaaaay cheaper with a respectable squad coming in at 200ish points. Grav guns. Being Salvo these are really not all that great. But on bikes these seem like a winner. I always ran plasma to deal with terminators and MCs, but Grav guns get me 3 shots at 18". Plus I don't kill myself with Get's Hot. Maybe not as great against vehicles but not terrible either. Anything that really doesn't have a save I was shooting with Twin Linked bolters anyway. So I think I'm committing to my bikes for the Feast of Blades Open GT. Of course there are several challenges in acquiring all of this and getting it painted. First of all without bits to buy online I have no idea how I'm going to get the grav gun bits. 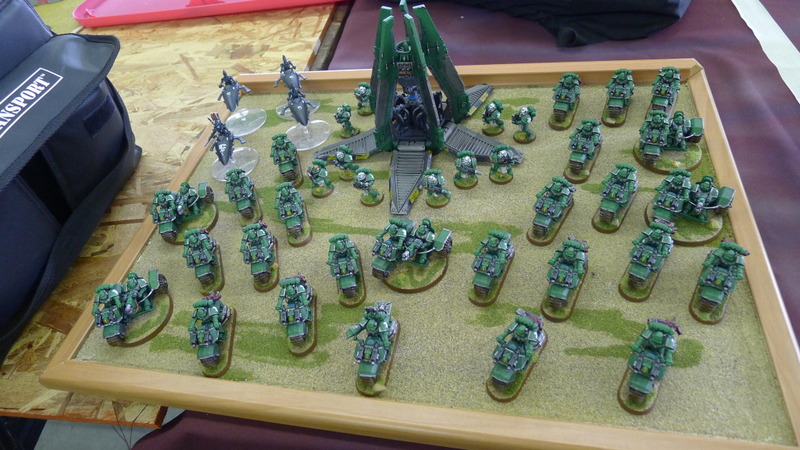 I would need to buy 12 tactical squads! Holly cow! I'm hoping these start popping on ebay over the next few weeks for a few bucks each. I have really fallen in love with the Tunderfire cannon. I used one in a game with my Imperial Fists/Iron Hands and it was lovely. 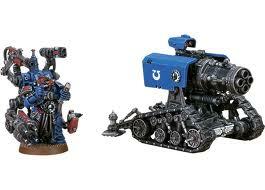 These things are now barrage and the techmarine can increase any cover +1 to a max of 3+. So I really am thinking about running 1 or 2 in a 2k list to deal with annoying units hiding behind walls and such. I think I need to run a second Storm Talon. I've now seen keeping them cheap is the way to go. So what does that mean for lists? 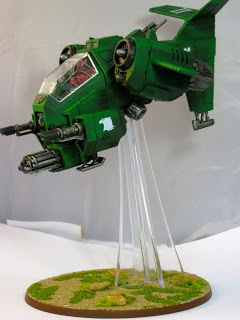 I picked up the 2nd StormTalon, would need 2 Thunderfires and all those Grav guns. Plus I would need to paint the whole command squad also! I have 4 weeks and one of those weeks I've got some traveling. So that might be a bit much to take on in time! So I might fall back to just an increase on my Bay Area Open List. This would need just the one Tunderfire and a Storm Talon painted. Hopefully I could at the least get this done. If I can source the grav gun bits I would add those in for the Plasma. The Sterngaurd are still good, but I think with white scars the command squad is now better. So ya, I'm going to get cracking at least on the Storm Talon and hope to get a few more games in to see how it goes. Sternguard aren't really needed anymore I think. 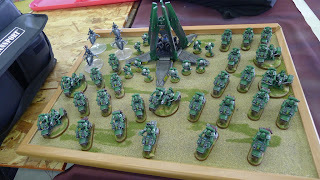 I would personally (and this is what I'm doing myself) lose them and add tau allies. Especially a riptide. Since your list already has 2 talons you don't really need broadsides but they are still a good deal.